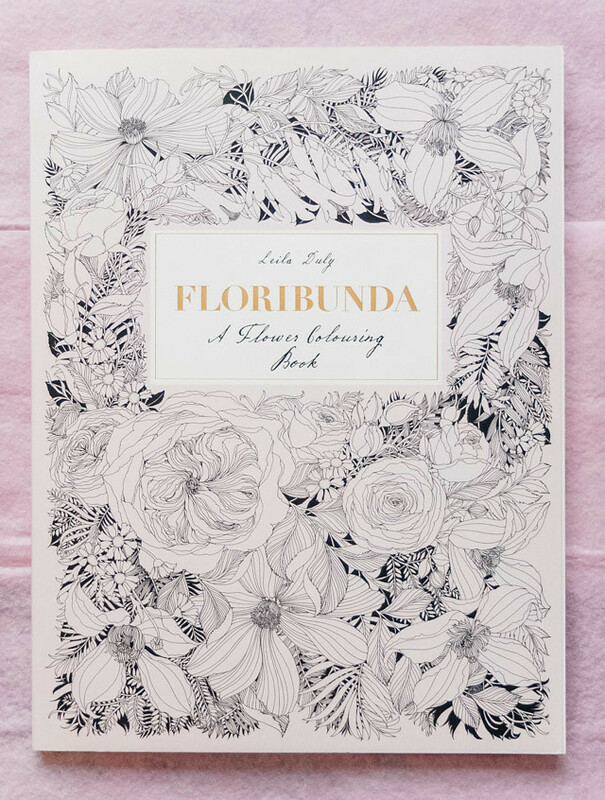 floribunda is blatantly obvious in what it is: a colouring book for flower lovers. i defintely fall into that arena. i’m going to be straight-out honest and say colouring books really aren’t my ‘thing’ but as soon as i saw this i knew i had to give it a go. 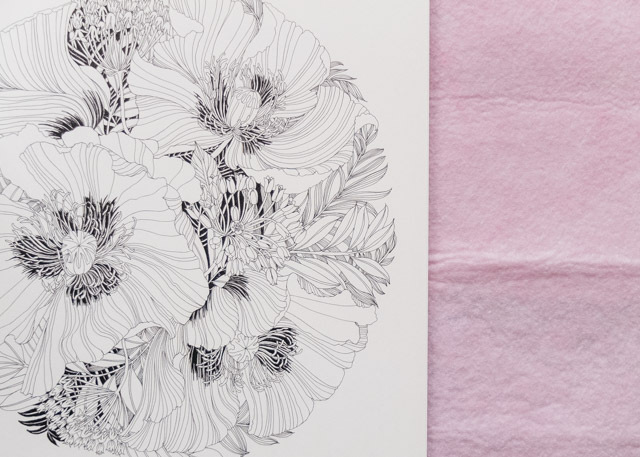 on each page there is line art of different floral arrangements, and below some text telling you what is in each image. 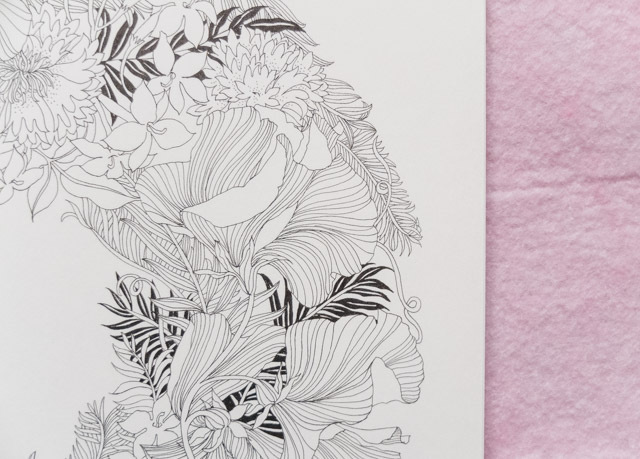 the drawings (by leila duly) themselves are well produced with delicate line art and have a level of detail satisfying enough that you feel like you’re getting a good colouring workout. yes i just made that last phrase up. the book is quite large, which i think is necessary because it really shows off the beautiful illustrations within and really encourages you to get stuck in. the pages are made of a cardstock that feels lovely to the touch, a good weight, and very easy to colour on. 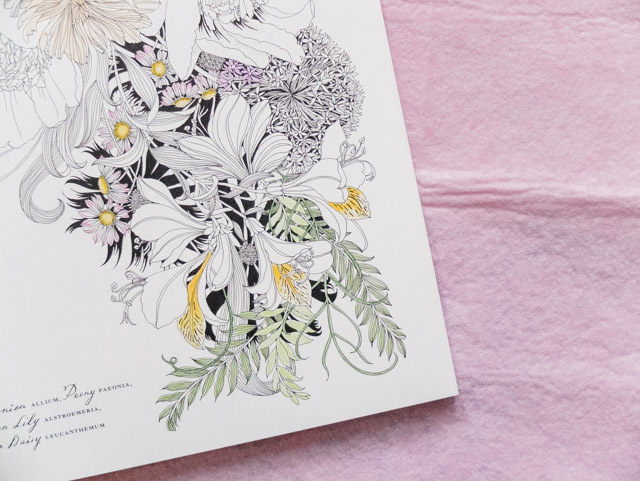 after you’ve finished colouring each piece, you can remove them, and do whatever you want with it, whether that’s giving it to a friend, or framing it. i think you could even use watercolours or water based pens on this card, but probably worth testing for yourself beforehand. they already look beautiful without the colour and i really enjoyed looking through the book as-is. obviously i’m a huge advocate for making the world a more colourful place, so i urge you to not ‘be afraid’ and get colouring in this book and others like it. 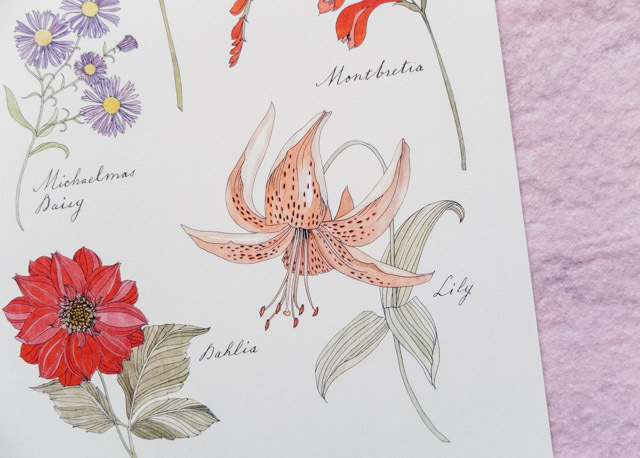 i love that on the end pages you have individual flowers named and in colour, for reference but also so you can see the potential of what you can do. of course, you don’t have to stick to prescribed colours if you don’t want to. this book would suit anyone from teens to elderly people, but i think the people that would enjoy it most would be people from my age (30’s) to middle age. it has a grown-up elegance to it that i feel may be lost on some people, but it’s certainly appreciated be me and people with similar tastes to mine. this would be lovely to sit down with on a summers evening, drink in one hand, colouring pencils in the other. so relaxing! 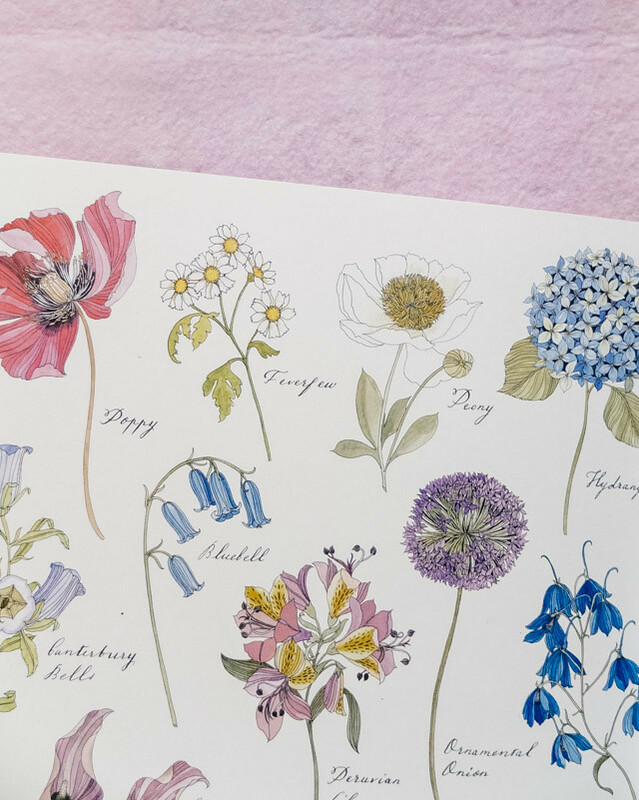 infact, if you do buy, you may want two as it’s so wonderful to look through as a book of fantastic floral illustrations. This book looks so gorgeous, I’ll definitely have to get myself one! Great post lovely! Oh gosh this looks lovely! admittedly most of the colouring books I have seen has rather cheap quality or not that brilliantly drawn but this one… definitely the best I have seen, finally! yes! the fact the paper/card is quality and the illustrations are fantastic made a huge difference to me! This look beautiful! I find colouring is quite relaxing and something I could do with in my life at the moment, to be honest.